Name: - Razak Hussein Aziz Farhood. Kufa / University School of Fiqh. Department of Religion and Islamic thought. Najaf province of Iraq. General jurisdiction: Sharia and Islamic Studies. Jurisdiction flour: knowledge of words and thought. . +964 (0) 7813911340 Cellular: [email protected] E-mail: Nascent: --1 964 / Najaf. Housing: - Najaf / Zahra neighborhood, near the locality of Oras School 114 Alley house No. 74 909/1. Occupation: - teaching at the School of Jurisprudence / University of Kufa degree of assistant professor. Degree: Assistant Professor Dr. Get the title of assistant professor: Z 03.29.2015 m. Date of appointment of teaching at the University of Kufa: - 20/8/2008 Based on what was a ministerial order number 15093 on 07.08.2008. 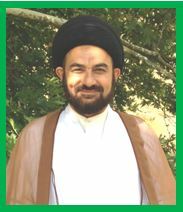 He holds a master's degree and doctorate from the University of Kufa School of jurisprudence in Islamic law and science precise specialization in the science of speech and thought, in a number of committees by the Department of Science Alalmah.rias the Koran and the Hadith years 2012-2013. Position now: Head of Islamic thought Alaqiadh section. Research Interests: 1. Principle lumpy revolution Zaid bin Ali (may Allah be pleased with him). 2. Principle lumpy and idiosyncratic of the mandate of the unjust. 3. theology between the old and the contemporary. 4. fate and destiny in the Imam Ali bin Abi Talib lyrics (peace be upon him). 5. Salman Abed Mohammadi and governor. 6. knowledge of God Almighty guide to happen on its presence in the Nahj. 7. ruling and its importance in the words of Imam al-Sadiq (peace be upon him). 8. conflict between religion and secularism in the construction of human civilization. 9. innate human right between realism and mind (the study of words). 10. The reasons and motives of deviation in the modern era (nodal) study. school grade :- 1. junior high (secondary): - I graduated from junior high Habboubi evening in Najaf - scientific section - in 1982/1983 m - at a rate of 5/82. 2. University: - graduated from the Faculty of Jurisprudence / University of Kufa / and obtained a bachelor's degree in Sharia and Islamic Studies for the academic year 1988-1989 m. Degree (very good). 3. Master: - obtained a master's degree from the Faculty of Jurisprudence / University of Kufa was a year of specialization law and science Islamist, and Specialization (kalam and thought) dated 08/18/2007 AD by decision of the university it No. Am / 596 on 18/8/2007 m at a rate of (very good). 4. doctorate: - obtained a doctorate degree from the Faculty of Jurisprudence / University of Kufa were specialization public law and Islamic sciences, and Specialization (kalam and thought) dated 05/01/2011 AD in accordance with the policies included in the university it under book Municipality Council No. O.m.s 96 05/01/2011 very good rate. 5. Teaching experience: 1. Preliminary studies (bachelor) phase: - I was a teacher for many materials of Sharia and Islamic Studies materials prior to appointment in the Faculty of Theology after he got a master's degree as a lecturer in the subject of logic, theology and jurisprudence at the university, and so humanitarian college. Then he appointed a teaching aid in the Faculty of Theology / Department of belief and Alvkrepettarej 08/20/2008 m, and I still thank God Almighty has studied other materials in addition to Mazkrth as Fiqh and material states of the verdicts and material states of belief and substance conversations belief and material contemporary intellectual currents and material philosophers and speakers and material approaches the philosophy of the legislation, He has been appointed (as head of the Koran and the Hadith Sciences) in 2012-2013, one of the largest and most important departments in the Faculty of Theology. 2. Graduate: - Consider the words of a contemporary material science to the stage of master / Science section of the Koran. 3. Supervision of messages and Alatarih: - oversaw the group of letters to MBA students at the Department of Quranic sciences and in the Department of Jurisprudence and Graduate Studies. Other activities: I participated in the preparation of research for more than twenty conference at home and abroad.